In 2005, LasVegas.com was sold for $90 million. More recently in 2015, Chinese brand Qihoo bought the domain 360.com for $17 million. GoDaddy reports that the most expensive domain ever sold was Cars.com, for $872 million. Buying a domain with the purpose of reselling it at a higher price is a practice known as domain flipping. So, let's dive into how to flip domains! Excited yet? Well, you should be. But you might be thinking: What are the odds of me making these huge sales? You’re right, they’re slim. However, there are numerous case studies out there of people doing very well with much, much more modest and “achievable” numbers. This guy made $17,000 from a domain he bought for $70. 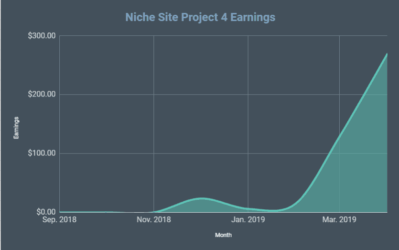 Ali Zandi, a well-known domainer, made $58,000 profit in 60 days selling 8 domains, and finally, this $10 domain investment turned into $2,600. Hearing about these numbers makes anyone’s head spin. It’s natural to ask yourself questions like: How can I get a piece of the action? Is it too late to jump in now? Why do people pay so much for domains names? Do I need a huge budget to get started? 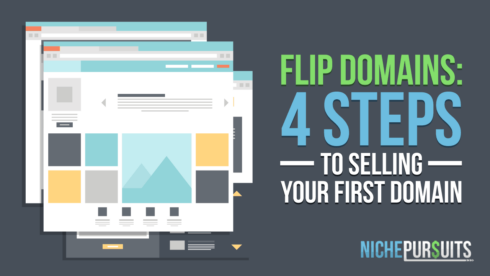 Let’s try to answer all these questions and more with this step-by-step domain flipping guide. 3 Flip Domains or Flip Websites? 4 Starting Budget and…Is It Too Late? 6.1 Where to find ideas for domain names to register? 6.1.2.1 So where do you find expired domain names? The domain name industry is quite similar to the real estate industry in a lot of aspects. There are end users, brokers, consultants and domain flippers or “domainers”. Domain flipping works similarly to buying a house, renovating it (or even sometimes just sitting on it) and then selling it again at a higher price point. The gist of it is: you’re purchasing a domain name and betting it’s worth (or will be worth) more than you paid for it. If you’re right, you get a nice paycheck and move on. Those who make a living out of this just rinse, repeat, and scale. Do some people make a living out of buying and selling domains? Yes, absolutely. However, the main risks lie in expectations and mindset. Sure, it may seem like a lot of domains are selling for crazy amounts of money but how many domains actually exchange hands every year? Millions. Hence, those high-priced domains are obviously the exception rather than the rule. This is why it’s important to have the right mindset when starting out. Do not go in with the “I will buy this domain and sell it for millions overnight” mindset. The “get rich quick scheme” mindset is very destructive not just in the domain flipping industry but virtually in any business. Instead, focus on buying cheap, high-potential domains and selling them at modest margins first. Get the momentum going and build some experience. 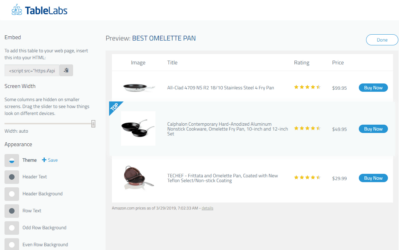 Flip Domains or Flip Websites? There’s an important distinction to make here between domain flipping and website flipping. The latter mainly refers to buying and selling full websites. By full websites, I mean websites that actually have content and more often than not have traffic and revenue. When buying and selling websites, the domain name matters less as the main value there is the content, traffic, revenue, history/reputation, sustainability and growth opportunities. The same can’t be said for domain names where you’re just selling “the name” and hence it’s all that really matters. The primary focus of this post is domain flipping. Starting Budget and…Is It Too Late? In theory, you could technically acquire a domain for $10,000 and be able to sell it for $100,000. You could also acquire a domain for $10 and be able to sell it for $100,000, $10,000… or $100, you get the picture. Because of this, it’s hard to recommend a perfect starting budget because your strategy, experience, and the pace at which you learn will hugely affect your buying and selling decisions. That said, my recommended budget for beginners would be $500+. Using this budget you could buy a bunch of high-potential $10 domain names, expired/dropped domain names or a mix of both. It’s very important to invest only what you can afford to lose and treat this as a side hustle till you get the momentum going. As you gain experience, industry expertise and some sales under your belt, you can then consider slowly growing your business into a full-time gig. Now, let’s move on to some practical steps to get your feet wet. Try throwing a few random domains at an expert domainer and they’ll be able to give you a ballpark figure almost instantly, and more often than not, they won’t be far off. Their experience in the space trained and wired their brains to automatically (and relatively accurately) appraise domains on the fly. They see a domain’s price tag and they can instantly tell whether it’s under or overvalued. This is probably the most important skill one should have in this industry. 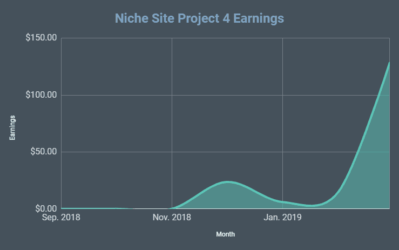 Neil Patel has an interesting related quote: “The most important thing to remember when buying sites is that you always make money on the buy, never the sell.” In order to successfully do this, you must be able to spot undervalued domains. This is what will ultimately translate for you into a handsome profit margin when you get the opportunity to resell the domain for its “real value”. So how do you develop that instinct? NameBio maintains a database of over 500,000 historical domain sales (as of writing this post). 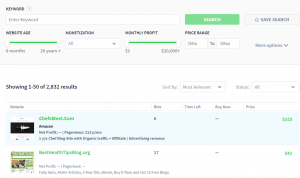 They have interesting filtering features by which you can narrow down domains by price range, date sold, keywords and more. Simply sifting through the listings on NameBio long enough will quickly develop your domain appraisal “instinct”. 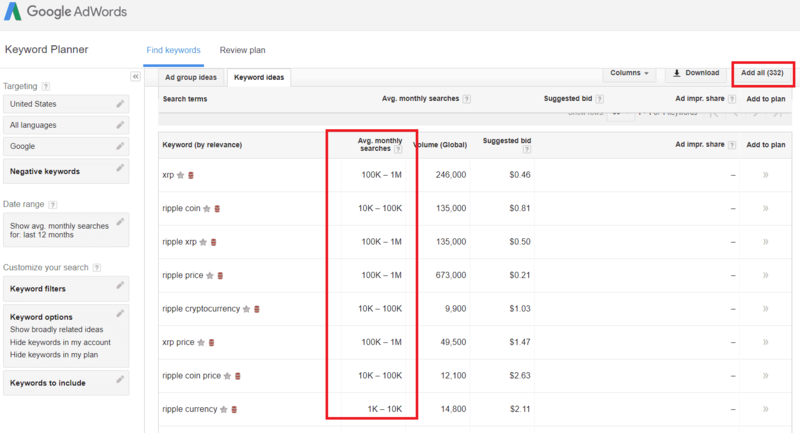 Using the keyword search feature you’d also be able to familiarize yourself with how much domains typically cost on average in a certain industry or niche. Even better, they have an addictive little app called “The Domain Game” available for iOS and Android. They basically give you a domain and you try to guess whether it sold for three, four, five or six figures. You get points for each correct answer and lose points for incorrect ones. You do this for a while and you start to see patterns. Your brain starts connecting the dots and you get better it. Now you’re ready to go out there and scout some domains! Length: This is pretty self-explanatory. Generally the shorter the domain name, the more valuable it is. This difference in value decreases exponentially as the name gets longer, though. For instance, the difference in price between 3 and 4 letter domains are significant, while the price difference between a 7 and 8 letter domain would usually be much less significant. Dictionary Word/Pronounceable/Memorable/Brandable: A dictionary word domain name is very valuable. Of course, the more popular and widely used the word is, the better. For example, “marketing.com”, “cars.com” and “hotels.com” are 7-8 figure domain names. Even if a domain name isn’t a dictionary word, being pronounceable and/or memorable and/or brandable are all big pluses that add to its value. History: Domains that have expired or have been bought second-hand from previous owners have history. Generally, the old names come with higher price tags. Similarly, domains that have traffic, and good SEO metrics such as DA/PA usually sell at higher price points, as the new owner is getting a nice SEO jump start because of the domain’s history. Extension: Domain name extensions play a huge part in a domain’s value. There are over 1000 domain extensions right now, the most popular of which is obviously the .com. The .net and .org extensions follow. The main advantage of the .com is its instant recognition and familiarity among internet users. Many non-savvy internet users may not even be aware of the existence of other extensions. That said, because there are many new extensions popping up every now and then, you can often find amazing one word and 3-letter domain names with these new extensions that are otherwise almost impossible to find unregistered in the .com world. 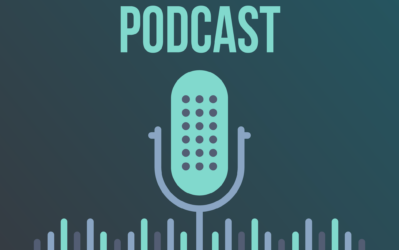 Additionally, these new extensions are becoming more and more familiar to users every day, hence it's almost certain that their value will continue to increase as time passes and wider adoption manifests. 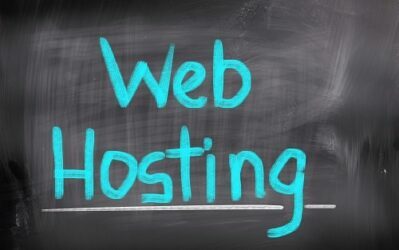 Where to find ideas for domain names to register? Browse domains that are currently selling or have recently been sold at marketplaces and directories such as Sedo, Flippa, and NameBio. Look for expired/dropped domain names on websites like ExpiredDomains.net or JustDropped.com. Analyze market trends and search queries to find potential domains that are likely to be more valuable in the future. Go local. Local domain names have great value for local businesses. For instance: NewYorkPizzaDelivery.com. Most domainers scour domain marketplaces and directories all day long looking for opportunities to buy an undervalued domain and then resell it. Exploring domain marketplaces is a relatively straightforward process. Let’s go ahead and do a practical walkthrough of something a little more complex: market trends and search query analysis. What if we replace “bitcoin” with “ripple” in all these examples? SellRipple.com? RippleGiftCards.com? Ripple.network? 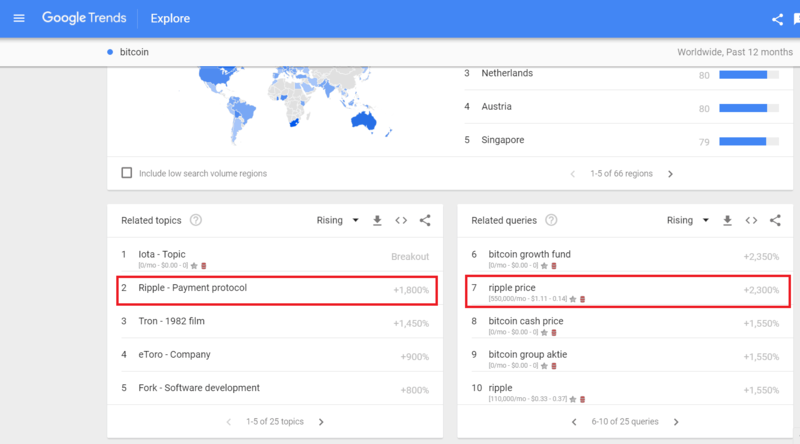 Ripple.us…etc. You get the picture. There are a 100 of these on NameBio + the keywords we got from the Google Keyword Planner, that’s hundreds of potential high-value domains right there. The thing is, we’re only scratching the surface here. According to Wikipedia, there are over 1,300 cryptocurrencies online as of January 2018. 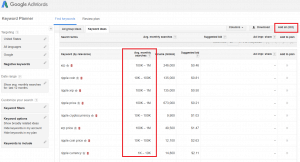 Multiply that number by the hundreds of potential variations we got from the Google Keyword Tool and NameBio, and you’ll brain will be buzzing with ideas in not time. 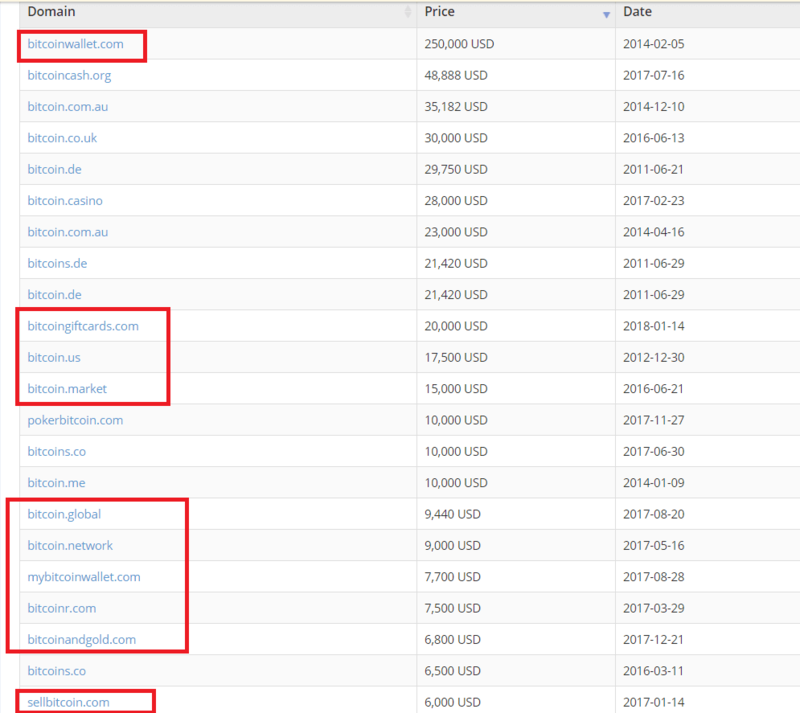 Of course, not all the 1,300 currencies will boom, but if you bet on the right ones and take early action, you can get your hands on some very solid domain names. You can repeat all of this for almost every industry imaginable. 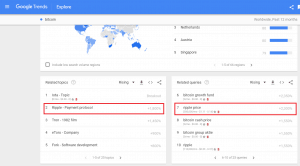 Use a seed keyword on Google Trends and the Google Keyword Planner then just let the data guide your journey from there like we just did. Once you’ve settled on some domain name ideas, you can head over to a bulk domain search tool such as DynaDot’s to mass check all the names against different TLDs. When you’ve found one (or a few) good candidates, you can simply go ahead and register them for approximately $10 each. The next step would then be to market them. Then finally, it’s a waiting game. Be careful! When searching for domains, it might be tempting to, for instance, buy mcdonalds.net (if it were available) and then try to sell it to McDonald's. The logic here would be that they own the .com and wouldn’t want anyone to own the .net and use their name, right? Also, it’s a big name so there’s gotta be a biiiiiiig payday comin’, RIGHT? Wrong, and wrong. Buying a trademarked domain name could get you into a lot of hot water. Best case scenario is for the trademark holder to force you into handing the domain over and call it a day. Worst case scenario is you get into a legal battle and end up spending an arm and a leg. This is why it might be a good idea to use the United States Patent and Trademark Office’s (USPTO) website to check for trademarks if you’re unsure about a domain name. So the above was one way to find good potential domain names and register them for $10 bucks. As discussed earlier, there’s also another way that’s often used by the experts: buying expired domain names. So what are they anyway? In order to maintain ownership of a domain, you must renew it yearly. If you don’t, it “expires”. An expired domain goes through several stages before being released again for general registration. The process differs slightly from one registrar to another but it’s more or less the same. GoDaddy explains what happens to domains that expire with them here. An expired domain was obviously a domain that was registered before. Meaning someone was interested in it. This makes it more likely to be valuable than a domain that was never registered. An expired domain has history. Age, traffic and SEO properties like domain DA/PA make the domain more valuable. Even if the domain name itself wasn’t that great, if it’s old (say registered 10 years ago) and has high DA and PA, it’ll be much more valuable than if it was never registered and hence never had any history. A good expired domain will usually sell for quite a bit more than $10. You also risk going to bidding wars over it during auctions and losing it or overpaying for it. This makes reselling with a good margin tougher. Expired domain names must carefully be vetted and scrutinized. Remember, this domain was “used” before and you have no idea what it was used for. 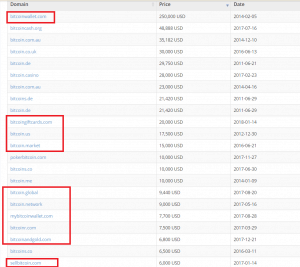 It could be blacklisted in search engines, it could have been used for spamming or illegal purposes, it could have been used to defraud monetization networks like adsense….etc. At the end of the day, the owner of this domain name let it expire and didn’t renew it. So while there may be many legit reasons as to why they might’ve done that, one of the not-very-legit reasons could be that the domain is “dead” in some way or another. In other words, it’s no longer useful for the original owner because of a penalty or otherwise. If so, it's unlikely it'll be of any use for you as well. So where do you find expired domain names? The most popular place by far is ExpiredDomains.net. The main advantage of ExpiredDomains.net is that it aggregates data from a lot of different auctions and websites around the web. There are also paid services like DomCop. DomCom helps you identify worthy domains faster by displaying some additional data points that allow you to vet domains easily and in a unified interface. And finally, there are services that curate domains they believe are worthy such as JustDropped.com’s newsletter. Check backlink profile: If you’re not familiar with what backlinks are, they’re basically any public website that “links” to the domain in question. Since there are numerous shady tactics in the SEO world, expired domains’ backlink profiles should be examined carefully. Check if too many links are coming from the same domain or if links have weird anchor texts/use foreign languages. You can use a tool such as ahrefs for these purposes. Check Email Spam databases: Check the domain in spam blacklist databases such as UltraTools’. While there are usually processes in place that allow you to dispute blacklist placements, it may not be worth the hassle and could be an early “no-go” indicator. Review Web Archive’s versions of the website: Examine the website’s history and how it looked like using the Web Archive. What was it about? What did it offer? This is useful for a variety of different reasons. It could inspire you as to who a good potential buyer might be (by analyzing the website’s content), and it could also signal some red flags in case the domain was being used for anything shady. Check DA/PA: The “Domain Authority” and “Page Authority” metrics gained significant popularity over the last few years. They seem to correlate well with a domain’s ability to rank in the search engines and hence, a domain having a high DA/PA will typically have a higher value. This is not to say domains with low DA/PA can’t sell for a lot of money because, at the end of the day, it’s just one factor. However, it’s good to take a look at these as they may tip the scale in favor of or against some buying decisions. Once you’ve found a good domain, it’s time to go ahead and pull the trigger. You’d usually be purchasing the domain directly from the registrar if it’s brand new (for around $10). If you’re buying an expired domain, then you’d usually acquire it through an auction or flat-fee, depending on the selling party. They have some of the cheapest prices around. They never try to upsell, cross-sell and downsell you endlessly. They have almost every domain extension under the sun. Their control panel has all the settings you’ll probably ever need without any gimmicks or marketing stunts everywhere (Yes, I’m looking at you, GoDaddy). They provide prompt support that is knowledgeable and friendly. Of course, you can always go with the classics in the industry like Name.com and GoDaddy, but Internet.bs is my personal choice and I highly recommend them. Landing Page: You may want to make it clearly visible that your website is for sale. To do that, you can include a simple landing page (see my clickfunnels review) that mentions that the domain is for sale along with a “contact us” form that allows the visitor to send you an email. This gives you the opportunity to receive direct offers which can often be very valuable. Redirection: You can do this after listing your website for sale somewhere. You’d then redirect the domain to the listing or auction in order to drive users who visit the domain directly to the auction and maximize its visibility. Parking: While your domain is just sitting there waiting for its new owner, you might as well take advantage of it. Parking sets up automated advertising on your domain so that you earn money every time someone views/clicks on an ad. This could be especially useful if your domain is an expired one that’s already receiving traffic. Services that offer parking include Sedo, GoDaddy, 1and1 among many others. Content setup: If your domain has potential to attract good search engine traffic, you might want to set up some content to help facilitate that. If this helps your domain do better in the search engine rankings then it’s a big win regardless of whether you choose to flip the domain only or flip the domain with the content as a “website”. The SEO value will be helpful either way. Whois Info: When your domain is for sale you want to be as “reachable” as possible and make it as simple as possible for anyone to inquire about it. This is why it might be a good idea to not opt for private whois so your email and contact info would be easily discoverable. While this section may seem like it would be the longest/most important, it actually isn’t. Remember Neil Patel’s earlier quote, “you make money on the purchase, not the sale”? Well, we’ve already made the purchase. At this point, if you have a good domain name, it’s only a matter of putting it out there. Don’t get me wrong, I’m not saying marketing your domain is not important. But, if you’ve bought a bad domain and you do (and overdo) everything laid out in this section and more, it’s still very unlikely that it would sell. It’s like spending car flipping and spending a huge amount of money, time and effort perfecting a car’s paint job, except that this car’s engine is completely fried. You’ll never be able to drive it anyway, no matter how awesome the paint job is, it’s irrelevant. Before you lift a finger towards selling the domain, it’s important to keep your emotions and personal judgment out of the picture. It’s easy to get emotionally attached to a domain name that you think will be the next big thing and sell for 7 figures. Control your expectations and keep them based on facts, data and expert opinions. 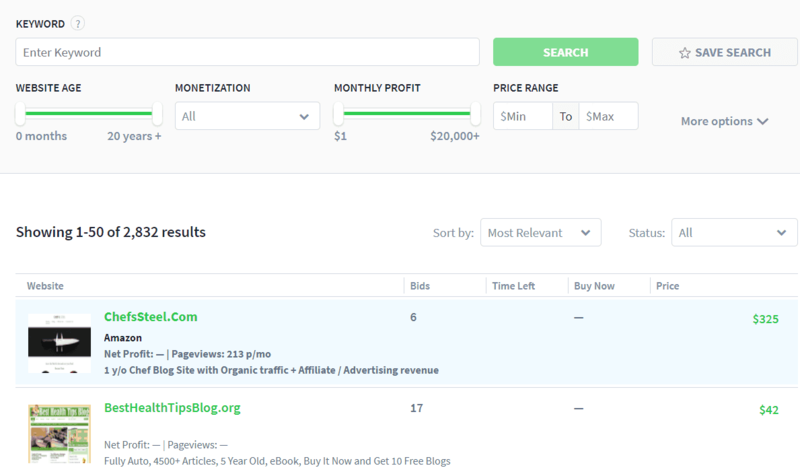 Use a tool like EstiBot to get a general idea of how much the domain may be worth. Do understand that this is an automated appraisal tool, so take those numbers with a grain of salt. However, it’s great to get you started. You can also use paid, human-based appraisal services from Sedo and other providers, but these can get costly. If you’re not careful, you could easily overspend on such services and then realize your domain may not even be worth the appraisal fee. So here’s a list of the most common approaches people take when selling domains. Reaching out to potential buyers directly: If you own, say BestRestaurant.com, then it would make sense to try and pitch that domain to restaurant owners. If the domain is even more niched down like BestNewYorkRestaurant.com, then you could also use the help of a directory such as YellowPages to help you narrow down potential candidates. Simplifying inquiry process: As mentioned earlier, making your WHOIS info public and creating a landing page that simplifies the inquiry process could be beneficial as it encourages direct offers. These should be more than enough to get your domain in front of tons of potential buyers. If you did a good job picking an awesome domain, you should have no problem (eventually) selling it. You need to be very patient as it could take months or even more to land a decent deal. A lot of domainers sit on domains for years before actually selling them. This is why it’s best not to obsess over a domain and simply move on with buying and listing others (or going back to your day job if this is a side gig) once you've listed the initial one. Professional domainers usually have dozens or hundreds of domains under their belt at any given time. They’re constantly buying and selling domain names to maintain momentum and cash flow. This is usually how the full-timers do it, and that’s who you can eventually become if that’s your cup of tea. For starters though, you now have everything you need to get your feet wet and sell your first domain. Hope that was helpful. Have you had any experience flipping domains before? Have any questions? Post them in the comments section below! The website feels much improved, cleaner design and fast to use. Well done. I thought this was a nice introductory write-up on flipping domains. Not too technical, but technical enough that it offered real insights and starting points for a beginner. Thanks Youssef! Thank you for your comment, Josh! Glad you found the post helpful. It was meant for beginners indeed so I’m happy to hear that you found value in it. Just want to say – well done on the new look. It is it custom made or do you still use Thrive or another brand? Great read too, keep up the great wofk. This is a custom theme. Thanks! Very good article and overview explanation. However I would not recommend buying names with bitcoin, ripple, etc in them. Not only will it be oversaturated those names are brands and can / will be trademarked and you can still be hit with a UDRP. 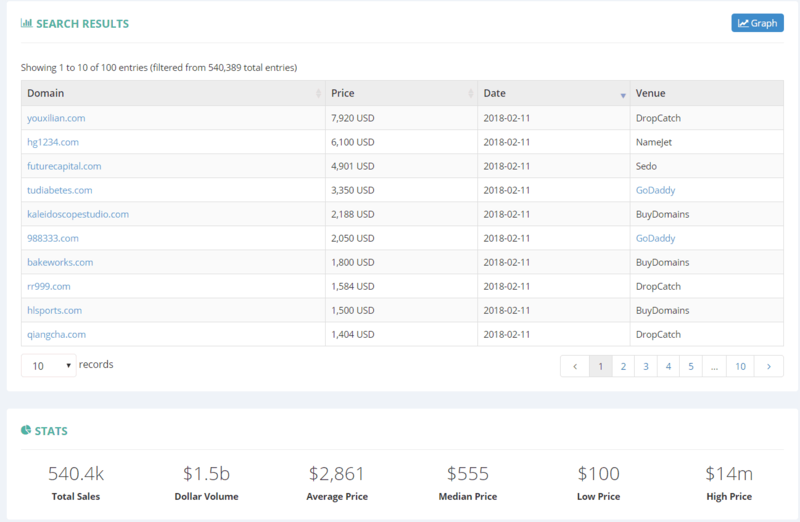 Only register generic names like buycrypto.com, buyingcryptocurrency.com, theblockchain.com, etc. There are tons of opportunities and no need to infringe on a brand name. I agree. Thanks for the insight! Thank you for the great insight. The part about domains containing ripple, bitcoin…etc was meant more as an example to brainstorm ideas rather than to be taken literally, but you hit the nail on the head there with the trademark concerns. Thank you for your input! Thanks so much for sharing. That was indeed very helpful. I’ve been into purchasing expired domains for niche websites. And I’ve got to experience what you’ve mentioned so far about; Domain Authority, Backlinks Profile, Archived Links, ..etc. Yet for me to join the domain flipping industry. This article has helped me to shape up a mind about the whole process and how to get started with that. I’ve an old experience trying to selling a bitcoin related premium short domain name on Flippa. That one was brand new with no any records yet. I’ve got it sold at the end! But honestely, I had to compromise with the price. Chances are the buyer will try to resell the domain with a margin profit. All in all, the industry is growing! Yet, It’s not as easy as someone may think of it. Platforms like Sedo and Flippa are having many offerings in there. Without a sponsored offer or advertising the sale page somewhere, chances to sell the domain are very little!